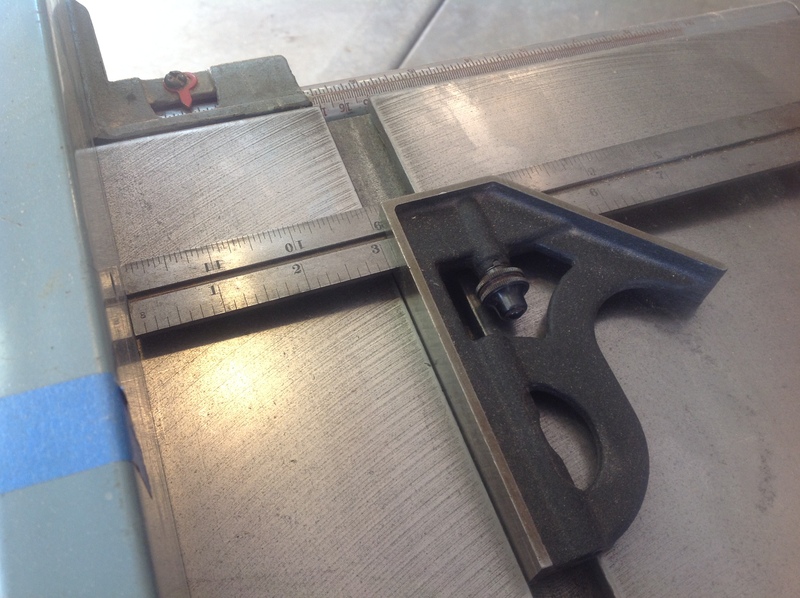 Most of my blogs cover the hand tool aspects of my woodworking. like many of you I do use power tools when it makes sense. Today I wanted to quickly dimension several piece of lumber so the table saw came out. After the first cut I realized I had to make some changes, burn marks marked the freshly sawn edge and I could hear the saw struggle with what should have been an easy cut. Removing the blade, build up was obvious on each tooth. Grabbing a pair of gloves, oven cleaner and a grocery bag. I sprayed each tooth, placed the blade in a bag, tied the bag shut and let it sit for an hour. Not sure where I picked up this method of cleaning a blade but it works well and is quick. While waiting for the magic to happen I cleaned the surface of the saw and waxed it. then decided to check the alignment of the fence.I have done this periodically and every time I find that the alignment has strayed so it was with little surprise that I had to spend a few minutes making adjustments to the fence. The saw is a Delta contractors saw made in the early 90’s. Noting fancy but it has been adequate over the years. My only real grip has been the need to make this fence adjustment over and over again. As long as I remember to continue checking, it should not be a problem going forward. Opening the grocery bag I pulled out the saw blade and wiped away the oven cleaner. In a couple of minutes I could see that it had worked its magic and all of the accumulated residue was gone. 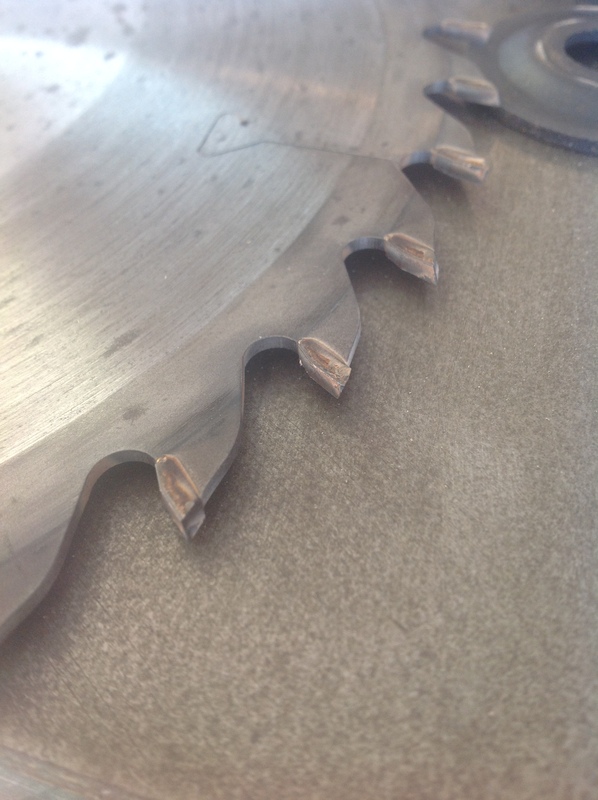 Placing it back into the saw, I double checked its alignment and found no issues. Once buttoned up the saw was ready to work. Grabbing the oak I continued to dimension the pieces I would need to make the Craftsman style lantern. 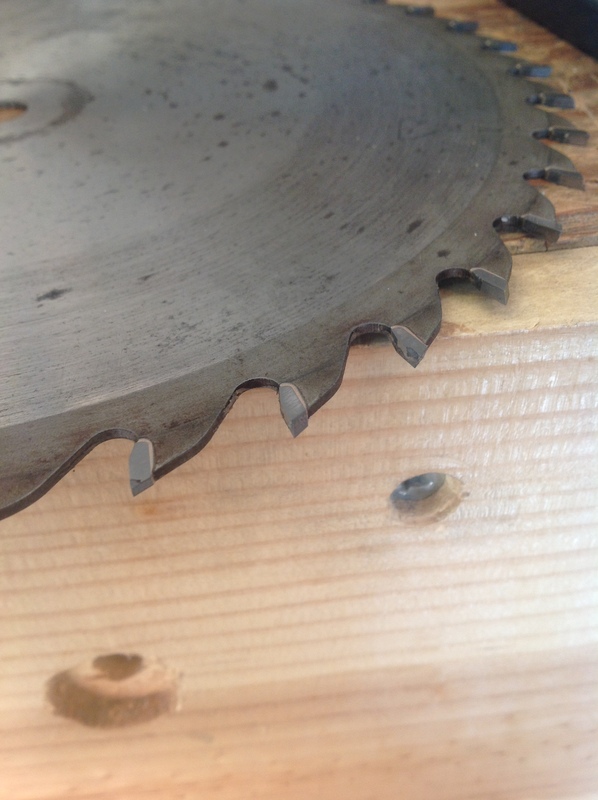 The cuts were correctly aligned with no burn marks and I sensed no more struggle from the saw. Thanks for the post. I need to do this with my table saw. I’m just to impatient; but I know this is a potential safety issue. Hi Jeff, also makes a big difference on cut quality.